Points 6–11 of Dr. McKenna’s article deal with human experience of and testimony about God, and with the phenomenon of divine revelation. People who testify that they experience God in some way are found in every religion under the sun during the entire span of human history. Does the personal testimony of an ancient polytheist convince you all those ancient Gods existed? Does the personal testimony of a Voodooist convince you of the truth of Voodoo? Does the personal testimony of a Caodaist convince you of the truth of Caodai? All these people have had ‘an experience’ (a sensation or a special feeling) but it wasn’t God they experienced: it was a ‘feeling’ triggered by the very idea of God. It’s true enough that the experiences of others really can’t convince us that there is a God. Nor does God want the experiences of others to be the only basis for our own faith in God. That’s something we must each come to for ourselves, in our own way. And atheists, of course, are perfectly free to convince themselves that there is no God. However, the sheer mass of millions of people over the long sweep of recorded human history who have reported experiences of God, though it doesn’t prove anything, should at least give us pause. Such a widespread phenomenon must have some cause. And although atheists do assign various causes to the human belief in and experience of God, there is no particular evidence that their rather speculative “causes” have any more validity than the possibility that all of those people had experiences of God because there actually is a God to experience. Atheists simply assume that there is no God (“a ridiculous, unscientific idea!”), and go looking for other possible explanations. That’s not even good scientific practice, let alone good philosophy. And history tells us that many “ridiculous” and “unscientific” ideas turned out to be true after all. Yes, people have experienced God in all different ways, whether polytheistically, monotheistically, voodooistically, or caodaistically. This issue is beautifully illustrated and resolved in the classic story of “The Blind Men and the Elephant.” Each blind man in the story felt a different part of the elephant’s body—its ear, its trunk, its tusk, its leg, its side, its tail. Therefore each man gave a very different description of the elephant. And yet, it was still a single elephant, which encompassed within its being all of the differing qualities that the various blind men sensed in it. ‘I just know in my heart of hearts that God exists’ can be used to prove anything, such as: ‘I just know in my heart of hearts that God does not exist.’ Or: ‘I just know in my heart of hearts that many Gods exist.’ Or: ‘I just know in my heart of hearts that an invisible pink teacup orbits the moon.’ All these are valid if any one of them is valid. At this point in the article I just had to laugh. Beyond that, the response to this is the same as the response to the previous point, so we’ll just move along. Do the answered prayers of all the various religions prove to you that those religions are true? Ancient people had their prayers answered by Zeus. More likely, things just go a petitioner’s way every now and then. Also, there are billions and billions more unanswered prayers than answered prayers: should unanswered prayers count against God? And perhaps God does sometimes answer our prayers for material things. We really can’t know for sure. So especially for skeptics, answered prayers are unconvincing. But getting stuff is not what prayer is really all about. Real prayer focuses more on inner, spiritual things. Things such as asking God to help us be a better, more loving, more patient, and more thoughtful person. These are the sorts of prayers God especially wants to hear. And the very act of praying for them helps to open up our mind and heart so that God can flow into us more fully and help us to achieve these spiritual improvements in our life. Of course, God always wants to do these things for us. But God will not force God’s presence and power upon us. When we ask sincerely for such things, what happens is not a change in God but a change in us—particularly, in our receptivity to God’s presence and power working in us. That’s what prayer is really all about. And yes, we can also pray for God’s presence and power to work in other people’s lives. We humans are not islands unto ourselves. We are community beings. And our prayers for one another help to open new and stronger channels for God to flow through. Will any of this convince a skeptic? But that’s not what prayer is for. In fact, the purpose of religion in general is not to prove anything or to convince anyone of anything. Religion is not science. It’s religion. It makes no more sense to expect religion to be just like science than it does to expect a historical novel to be just like a history textbook, or virtual reality to be just like physical reality. 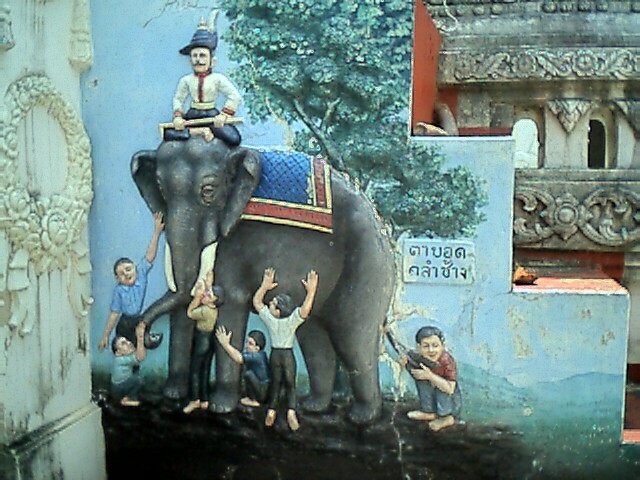 See the story of “The Blind Man and the Elephant” linked under Point 6 above. Our human perceptions and conceptions of God don’t determine what God actually is. We perceive God based on our own life experiences and the things we’ve learned. This can be quite different for different people. Even “religious virtuosos” are still human beings. Just because they don’t all agree with one another, and in some cases flatly contradict one another, that doesn’t mean God doesn’t exist. Just that different people perceive and conceive of God differently. The history of science is the history of conflicting theories, each attempting to explain the same phenomena of nature and the physical universe. Does the fact that different “scientific virtuosos” disagree with each other and have conflicting theories about the nature of nature mean that nature doesn’t exist? ALL ancient religions are bulging with miracle stories. Are ALL ancient religions therefore true that have miracle stories? Do you believe in many Gods because polytheistic religions have many miracle stories? Miracles are fictions in all religions. As to present-day claims that God heals bodily diseases, why doesn’t God heal amputations by growing limbs back? Is that too hard for God to do? Why don’t we see discarded prosthetic limbs alongside discarded crutches at ‘faith healing’ events? Agreed. Miracles are unconvincing to skeptics. In fact, whether or not you believe the miracles in the Bible actually took place as described, the Bible itself makes it crystal clear that miracles are terrible at convincing skeptics and the faithless! Consider one of the most dramatic series of miraculous events described in the Bible: the Exodus from Egypt. First came the Burning Bush (Exodus 3). Then the Ten Plagues (Exodus 6–12). Then the Crossing of the Red Sea (Exodus 13:17–14:31). And what was the first thing the people who experienced all these miracles did after singing songs of victory over their enemies? Yep! Their God—who had just decimated their Egyptian slave-masters, parted the waters of the Red Sea so that the Israelites could cross on dry ground, and destroyed the entire pursuing Egyptian army—had a brilliant plan: miraculously deliver the Israelites to the desert and then kill them all with hunger and starvation! So . . . God did several more miracles for them, giving them food, water, and victory over the first enemies they encountered. And the people complained the whole time. Then they arrived at Mt. 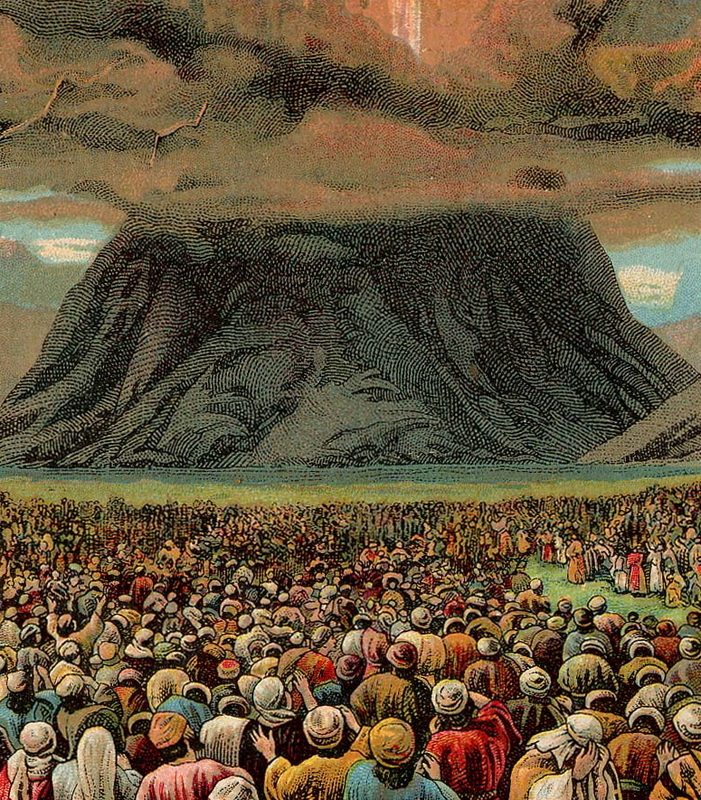 Sinai, where the entire assembled throng of Israelites quaked in their sandals as they felt the mountain shake violently, saw it belch smoke and fire like a volcano, and heard God’s own voice booming the Ten Commandments out of the smoke, darkness, thunder, and lightning (Exodus 19–20, Deuteronomy 5). Surely that would convince those grumbling, complaining, faithless Israelites of God’s reality and power! Umm . . . . No. While Moses was still up on the mountain getting God’s commandments and laws (okay, it did take a while—forty days, to be exact), the Israelites forgot all about what God had just told them. They made a golden calf, worshiped it, and “indulged in revelry” around it—breaking at least half of the Ten Commandments in the process (see Exodus 32). God dealt severely with them for that, too. And yet, when it came time for the Israelites to enter and conquer the Holy Land, despite all the miracles of power and victory that God had accomplished for them, they still didn’t believe God had the power to defeat their enemies. They rebelled, and refused to go in. As a result that whole generation of faithless people had to die off over forty years of wandering in the desert so that their children could go in and conquer the Holy Land. You can read the story in Numbers 13–14. In narrating this extended story of miracles and faithlessness, the Bible couldn’t convey much more clearly that miracles simply do not convince people who are skeptical and don’t want to be convinced. Of course, modern-day skeptics and atheists don’t appeal to the prince of the demons to explain away miracles. But they do explain away every miracle that comes their way, usually by simply denying that it happened it all. In short, both the Bible and common experience make it very clear that miracles do not convince skeptics—nor are they intended to. Further, from a spiritual perspective there are far greater miracles than these physical ones anyway. The true miracles are the miracles of people whose lives are changed from the inside out by the presence of God in their lives. Once people have experienced that transformative miracle within themselves and in their lives, miracles of physical healing and other physical transformations are no longer necessary to strengthen their faith. That is one reason physical miracles mostly faded out after New Testament times. As the teachings of Jesus took hold, people’s faith moved to a deeper level, from being based on external, physical experiences to being based on inner knowledge, understanding, and experience of God’s presence within themselves and among the community of faithful believers. But that is something that skeptics and atheists will never understand as long as their eyes remain firmly and exclusively fixed on physical reality. None of the books are conspicuously divine. Human talent can explain them all. People from one religion do not acknowledge the revealed claims of another religion’s holy book, and skeptics simply doubt them all. Plus, some of the material in any ancient holy book is untrue and often sub-ethical by present-day standards. Like miracles, holy books are not likely to convince the skeptics, nor are they designed to. Their role, rather, is to inspire and instruct the faithful, and to strengthen those who want to develop more faith. Beyond that, it is striking that atheists commonly read and interpret the Bible the same way fundamentalist Christians do. Atheists reject the Bible! Fundamentalists think the Bible is divinely inspired Word of God! But both atheists and fundamentalists read the Bible as if it were meant to be interpreted literally. They both think it is speaking mostly about physical, material-world events. Another way of saying this is that both atheists and fundamentalist Christians are materialistic in their view of the Bible. In particular, atheists think of the Bible as saying things that are “untrue” because their conception of “truth” is purely physical, scientific, and historical. But if the Bible is God’s Holy Word, its purpose must be far greater than teaching us about material-world events such as how this world was created and how a particular bronze-age culture escaped slavery and invaded and conquered a land that they claimed as their own. If the Bible is God’s Word, its purpose must be to tell us, not about material-world things, but about spiritual and divine things. Yet these are precisely the sorts of things that skeptics and atheists reject out of hand. So of course they can’t see what the Bible is really about. Points 12–18 deal with big issues of God’s causative position and beneficial effects on the universe and humanity. We’ll take them up in Part 4. Great series so far Lee! I believe the ‘smart’ person doubts miracles because of one primary issue which is ‘It hasn’t happened to them yet’. The smart person has never understood the metaphysical nor the spiritual and so can only mock the experience of others. But deep inside it is the hurt that God would speak or appear to one person but not them. ‘What did the other person do to deserve it’ or ‘What have I failed to do’. I don’t think people like Dr. McKenna mock religious people out of ignorance but more out of hurt. What angers these smart people are when a religious person has or professes to have more access to God than them. When they compare lives, they see that the smart person was a layman and a sinner all along. And this is what gets to them. The smart person with all his knowledge, good works and intelligence has sought God but has found none while the layman gets a touch of God by chance. The bible itself depicts shepherds, prostitutes and taxmen mingling with God but the pharisees who have spent the best part of their lives devoted to religion felt relatively unappreciated by God. The Pharisees and the Dr. McKenna share the same pain because they share the same belief which is ‘I have put in X amount of effort and I deserve X amount in return from God’. ‘My neighbour has put in a fraction of X and he should reap a fraction of X. But thankfully Matthew 20, shows that men are not paid out with respect to this principle. Something Dr.McKenna has trouble accepting from his article. Thanks! Glad you’re enjoying it. And I do think there’s a lot of truth to what you’re saying. In particular, I’ve heard atheists numerous times say (usually in written form) that if God really exists, He should come talk to them in their kitchen or living room. That wouldn’t be so hard for an omnipotent God, would it? And since He doesn’t do that very easy thing, He must not exist. And they’re right that nothing would be easier for God than to sit down with them in their living room and have a chummy little fireside chat. But God doesn’t do that because forcing belief through miracles not only doesn’t work (as I said in the above article), but actually has the opposite effect. And for that moment, the atheist believes in God. But after God leaves, the atheist’s “rational, logical” self begins to return, and he starts mentally evaluating the experience he just had. It certainly seemed like God at the time it was happening. But was it really God? The mental gears start turning. Soon the atheist has come up with a perfectly reasonable explanation for the whole experience. It was a hallucination. I had too much coffee this morning. Or it was a trick. A really charismatic magician posing as God and doing parlor tricks. Or the whole thing was a dream, and now I’ve woken up from it. So in the end, the whole experience only hardens the atheist’s mental armor against any possibility of believing in God. And his state of disbelief after the experience is even stronger than it was before. That’s why God does not appear to atheists and skeptics. Unless, of course, they are already softening, and already thinking, “Maybe there actually is a God,” and already beginning to open up to the reality of God and spirit. Then they might have an experience of God—though probably not the stereotypical “God sitting down with me in my living room and having a fireside chat” experience. I don’t think atheists are necessarily going to a place of torment. (See “Do Atheists Go to Heaven?”) But the same principle applies: If they do not listen to Moses and the Prophets (i.e., the Bible or any other divine revelation), they will not be convinced even if someone comes back from the dead and tells them about the afterlife, or even if God himself suddenly appears to them in their living room.